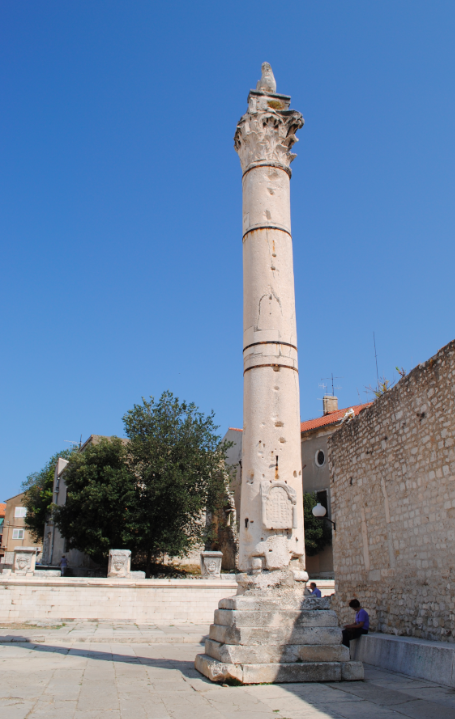 Founded by the first Emperor Augustus, the Roman Forum in Zadar was the largest on the eastern shore of the Adriatic. To the side of a raised area where once a temple dedicated to Jupiter once stood, stands the 15m high Pillar of Shame (above). During the Middle Ages, this is where sentenced people were chained and humiliated. It was used for this purpose until 1840. 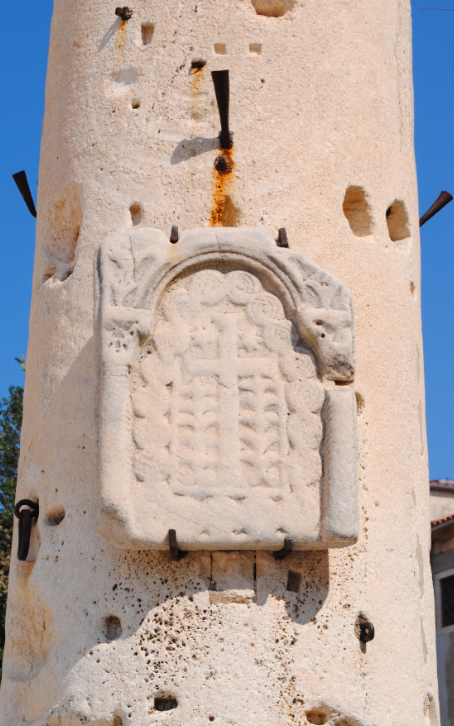 The Lion of St Mark was a later addition to the top of the column by the Venetians.